Hush money can speak loudly. But this week confirmed that words, as spoken by President Donald Trump and those in his orbit, don’t necessarily say something meaningful. The topics in question span from matters of health to matters of basic fact to matters that will play out in courts of law. 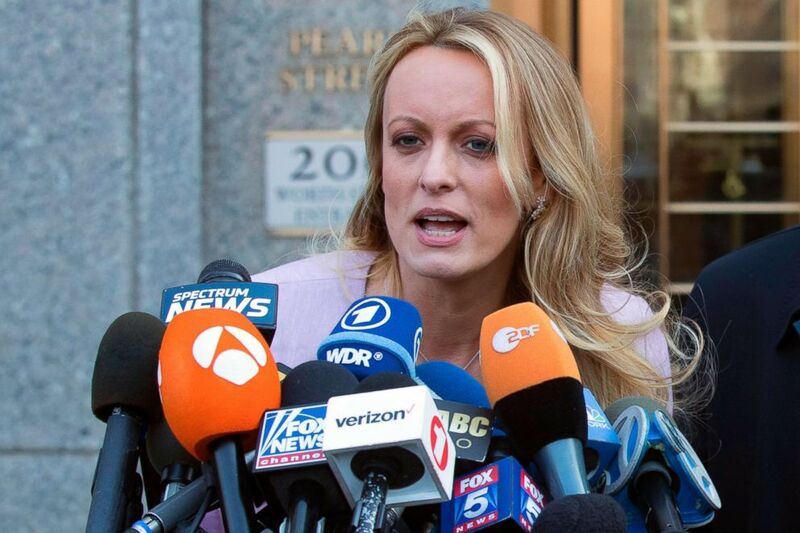 Trump’s own lawyers — from Michael Cohen through Rudy Giuliani – have only added to the confusion and contradictions, with the Stormy Daniels matter front and center. A week that began with a backlash against words aimed at the White House press secretary ended with something approaching an admission, when Sarah Sanders was asked by ABC’s Jonathan Karl about "what appears to be a blatant disregard for the truth." "We give the very best information that we have at the time," Sanders said Thursday. People close to the president are voicing concerns that Robert Mueller’s investigation is having an impact on the business of the presidency. It’s hard to see, though, how the president’s own words are making his job – to saying nothing of Mueller’s — any easier. "Flint still doesn’t have clean water," comedian Michelle Wolf said as she ended her set at the White House correspondents' dinner last weekend. PolitiFact called the line half true: Some progress has been made, but there is still a lot of work left to do in that Michigan city. The president spoke in Michigan that same night — last Saturday. He didn't mention the four-year-old contaminated water crisis. Perhaps that’s a key sign of a presidency starting to become dysfunctional: real questions about what, if anything, is getting done. When scandals, deceits and investigations overwhelm an administration and demand so much energy — when White House spokespeople are punting more questions to outside lawyers than providing answers of their own — average voters get left hanging in the balance. Flint still has water issues, as do many rural towns with low rates of work force participation and primarily low-paying jobs. Cities have housing issues. Teachers are marching in the streets, and DACA recipients are still in the lurch. Campaigns may be in full swing ahead of the midterms, but what else is getting done at home in the districts? 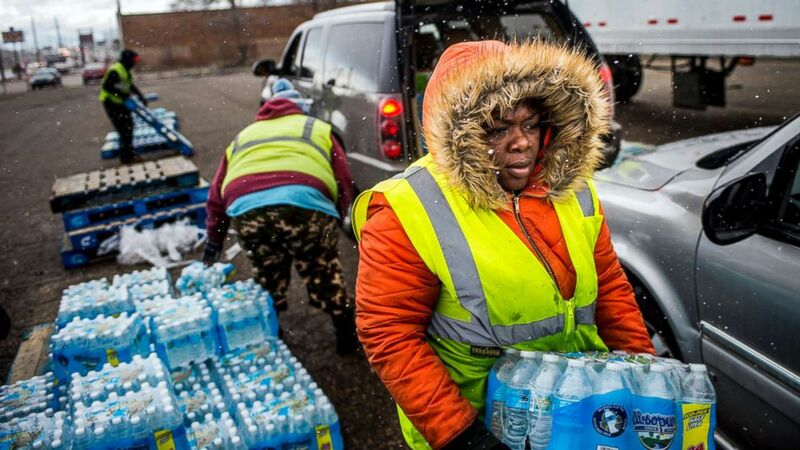 (Jake May/The Flint Journal-MLive.com via AP) Flint resident Nia Augustine, 26, carries two cases of free bottled water as she fills a vehicle's trunk with eight cases at a water distribution center while cars line up more than 50 deep on Dort Highway, April 6, 2018 in Flint, Mich.
West Virginia's Republican Senate primary has become a race to prove who loves President Trump the most and who's most likely to "Make America Great Again." The three frontrunners — Congressman Evan Jenkins, state Attorney General Patrick Morrisey, and former coal company executive Don Blankenship — all tout their Trumpiness in ads, debates and townhalls. Last month, the president literally wedged himself into the middle of the primary by inviting Morrisey and Jenkins to a tax event in the state. The White House did not invite Blankenship. President Trump has not made an endorsement in the heated primary race, but now the junior Trump has weighed in — with a tweet. "I hate to lose. So I'm gonna go out on a limb here and ask the people of West Virginia to make a wise decision and reject Blankenship!" tweeted Don Jr. He went on: "No more fumbles like Alabama. We need to win in November" in a reference to the Alabama special election that became a national embarrassment for the GOP. Morrisey and Jenkins both quickly claimed the Don Jr. tweet as a victory. But Blankenship responded with a statement slamming "establishment influence" in the race. After being dissed by a Trump, the former coal baron in turn responded in a most Trump-like way — by insulting Jenkins as "Little Joe" and Morrisey as a lobbyist "associated with abortionists." Don Jr. scoffed at being called establishment and offered his take on Blankenship's political chances. "Ha, now I’m establishment? No, I’m realistic & I know the first thing Manchin will do is run ads featuring the families of those 29 miners killed due to actions that sent you to prison. Can’t win the general... you should know that & if others in the GOP won’t say it, I will," he tweeted. President Trump and Vice President Pence head to Dallas to keynote the NRA’s annual leadership forum beginning at 1:15 p.m.
A new documentary - RBG - exploring the life and career of Justice Ruth Bader Ginsburg comes out today. Deputy Attorney General Rod Rosenstein addresses the Montgomery County, Md., Bar Association at its 2018 Annual Meeting and Law Day Celebration at 12:30 p.m.
Secretary of State Mike Pompeo keynotes the State Department’s Foreign Affairs Day for active and retired employees at 3:45 p.m.
Pompeo later delivers remarks at the American Foreign Service Association Memorial Plaque Ceremony at 4:15 p.m.
"You may wish to outright "fire" me, if you have the authority to do so, but should you wish to terminate my services, it will be without my offer of resignation, as you requested.” — House Chaplain Father Patrick Conroy rescinding his resignation in a letter to Speaker Paul Ryan.